↑ アメリカ合衆国特許第3,736,880号, January 21, 1972. Page 10 Column 1 Line 15 to Page 10 Column 2 Line 25. ↑ Radford, Tim (1999年10月11日). “Nasa takes up idea pioneered by Briton - Magnetic levitation technology was abandoned by government”. London: The Guardian. http://www.guardian.co.uk/uk/1999/oct/11/timradford . 2009閲覧. ↑ "Obituary for the late Professor Eric Laithwaite", Daily Telegraph, 1997-12-06. ↑ AGT 1975, p. 248. ↑ “Factbook”. 500kmh (2007年10月). . 2012閲覧. ↑ “Government's five-year plan”. Railway Magazine 153 (1277): 6–7. (September 2007). ↑ “UK Ultraspeed”. . 2008閲覧. ↑ Wainwright, Martin (2005年8月9日). “Hovertrain to cut London-Glasgow time to two hours”. The Guardian (UK). http://www.guardian.co.uk/transport/Story/0,2763,1545279,00.html . 2008閲覧. ↑ Blitz, James (2006年8月31日). “Japan inspires Tories' land of rising green tax”. Financial Times. http://www.ft.com/cms/s/65cc4456-388c-11db-ae2c-0000779e2340.html . 2008閲覧. ↑ McGrath, Dermot (2003年1月20日). “China Awaits High-Speed 'Maglev'”. WIRED (Wired). http://www.wired.com/science/discoveries/news/2003/01/57163 . 2018-3-18閲覧. ↑ “Hundreds protest Shanghai maglev rail extension”. Reuters (Reuters). (2008年1月12日). http://www.reuters.com/article/worldNews/idUSPEK32757920080112 . 2018-3-18閲覧. ↑ “Maglev finally given approval”. Shanghai Daily (2008年8月18日). . 2018-3-18閲覧. ↑ “Changsha Maglev Line Completes Investment over 490 Million Yuan”. http://english.rednet.cn/c/2014/11/21/3528574.htm . 2014閲覧. ↑ “北京市初、リニア路線が運行開始 - 中国 - 日中新聞”. 2018年1月1日時点のオリジナルよりアーカイブ。. 2018閲覧. ↑ “国防科大自研磁浮列车_军事_环球网”. Mil.huanqiu.com (2011年3月2日). . 2012閲覧. ↑ “メリーランド州知事がリニアに試乗　米の構想ルート候補地”. 日本経済新聞. (2015年6月4日). https://www.nikkei.com/article/DGXLASDZ04HMB_U5A600C1TJC000/ . 2017閲覧. ↑ Wakefield, Jane (2014年6月24日). “Sky cars to be built in Tel Aviv”. BBC News. http://www.bbc.com/news/technology-27995437 . 2015閲覧. ↑ “NASA’s SkyTran personal maglev transport to trial in Israel”. Stuff. (2014年7月3日). http://www.stuff.tv/nasa-s-skytran-personal-maglev-transport-trial-israel/news . 2015閲覧. ↑ Baker, James. 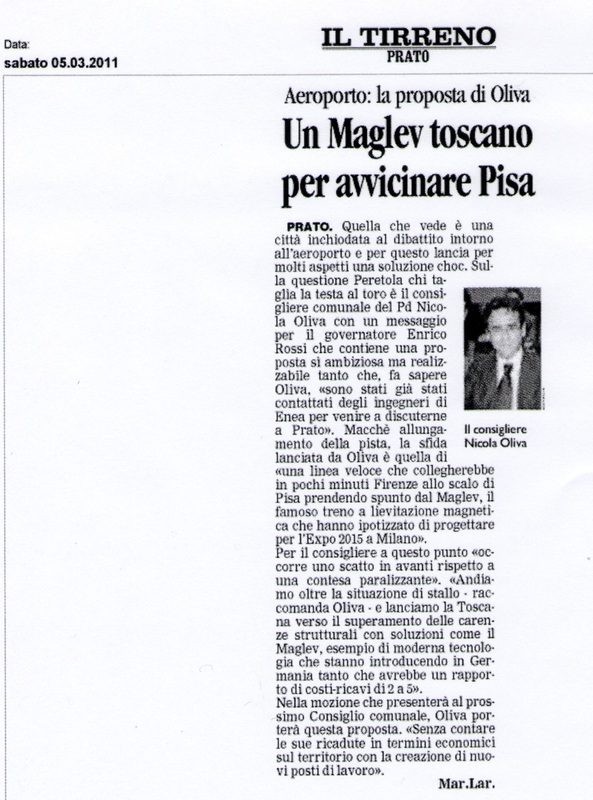 “They are building the first personal maglev transport system in Israel”. Spoid. http://sploid.gizmodo.com/this-futuristic-personal-transport-could-soon-be-part-o-1598425675 . 2015閲覧. ↑ “SkyTran to Build Futuristic Maglev 'Hover Monorail' in Israel”. Inhabitat. (2014年6月27日). http://inhabitat.com/skytran-unveils-futuristic-maglev-hover-monorail-for-israel/ . 2015閲覧. ↑ “Hover cars have arrived! Self-driving sky pods set to soar above traffic on high-speed magnetic tracks”. MailOnline. (2014年6月27日). http://www.dailymail.co.uk/sciencetech/article-2672007/Hover-cars-arrived-Self-driving-sky-pods-soon-soar-traffic-high-speed-magnetic-tracks.html . 2015閲覧. ↑ “Lausanne en 10 minutes” (French). GHI (2011年3月3日). . 2011閲覧. ↑ “In 20 Minuten von Zürich nach Bern” (German). Neue Zürcher Zeitung (2009年6月20日). . 2011閲覧. ↑ “Swissmetro.ch”. Swissmetro.ch. . 2011閲覧. ↑ Christodoulou, Mario (2008年8月2日). “Maglev train reappears on agenda”. Illawara Mercury. . 2009閲覧. ↑ “Melbourne Concepts – Maglev's relevance”. Windana Research. . 2009閲覧. ↑ “L'EIR propone un "Maglev lombardo" per Milano Expo”. movisol.org. . 2018-3-18閲覧. ↑ “Marietta Company Ready to Send Maglev Technology Abroad”. Globalatlanta.com. . 2011閲覧. ↑ “William Miranda Torres pide apoyo para financiar tren en Caguas”. Primerahora.com. . 2011閲覧. ↑ casiano communications (2011年5月19日). 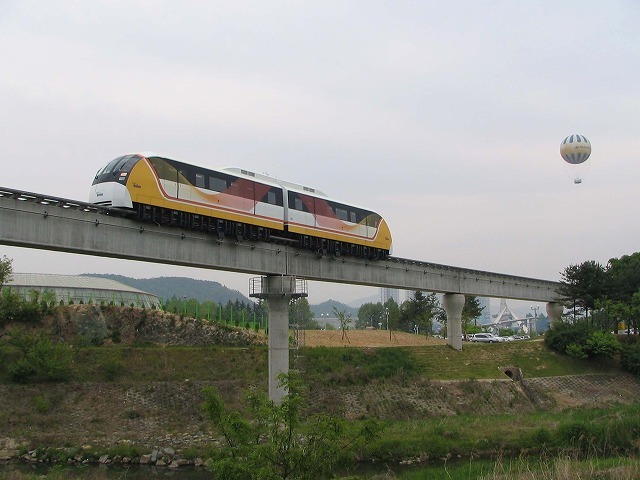 “Inteco looks at 'maglev' train system”. caribbeanbusiness.pr. 2012年4月6日時点のオリジナルよりアーカイブ。. 2011閲覧. ↑ “Mumbai to Delhi: 3 hours by train”. Express India (2005年6月14日). . 2018-3-18閲覧. ↑ “6 routes identified for MagLev”. India. (2007年6月22日). http://timesofindia.indiatimes.com/Mumbai/6_routes_identified_for_MagLev/articleshow/2140367.cms . 2018-3-18閲覧. ↑ “Bullet train may connect Mysore-Bangalore in 1hr 30 mins Photos”. Yahoo! India Finance (2012年4月20日). . 2012閲覧. ↑ “No Operation”. Presstv.ir. . 2011閲覧. By Henry H. Kolm; Richard D. Thornton (October 1973). “Electromagnetic Flight”. サイエンティフィック・アメリカン (Springer Nature) 229 (4): 17–25. Simmons, Jack; Biddle, Gordon (1997). The Oxford Companion to British Railway History: From 1603 to the 1990s. Oxford: Oxford University Press. ISBN 0-19-211697-5.